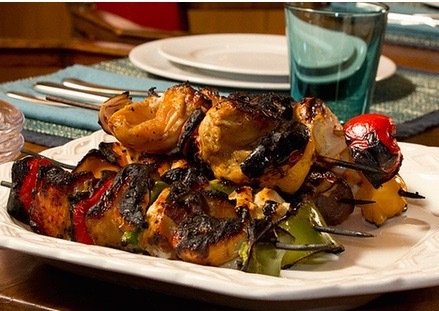 As we sail through Spring, you might be thinking about what to serve at your next soiree. Whether your event is being held indoors or outdoors, the brightness of the season is sure to inspire a lighter, fresher menu—and the beauty of Spring is plenty of reason to break out the wine as well! If you don’t have your menus set in stone, consider these fresh spring dishes, chosen for their simplicity and easy pairing with fresh-tasting wines that are easy to find. 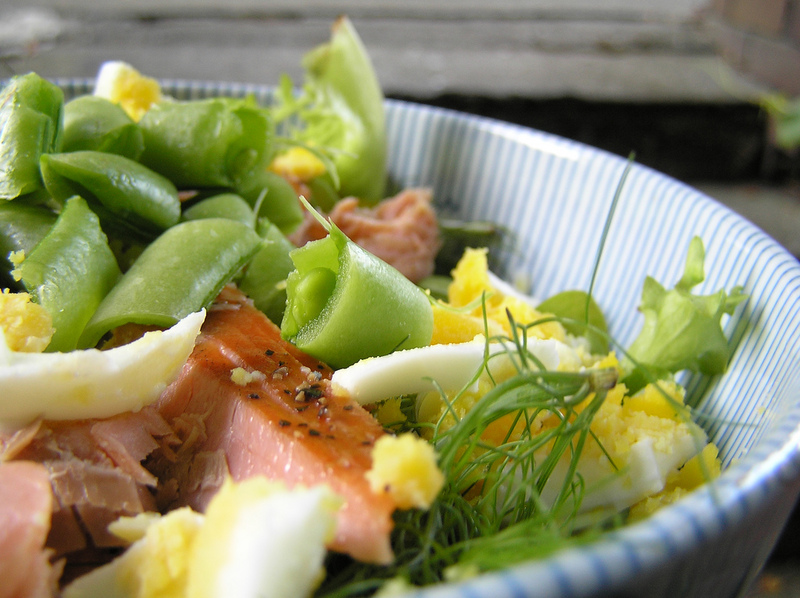 Salmon salad is a great dish for spring, as it works well for indoor or outdoor fetes, and the ingredients can be modified to use fresh produce from your local area. It’s also a winner for daytime events (as a main course) or evening events (as an earlier course). The lemon-dressed salad above is best paired with a green-tasting, herbaceous wine like a Sauvignon Blanc, which will complement the freshness of the salad and zestyness of the lemon. Risotto is one of those dishes that is almost always a crowd-pleaser. Particularly if you live in a less-sunny area or are getting a bit of cooler weather, the warm richness of a creamy risotto sauce will be nice and warming (while the overall dish is still relatively light). 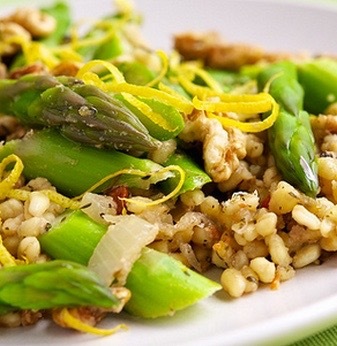 Asparagus comes into season in many places this time of year, and makes a fresh complement. A crisp Italian wine like Pinot Grigio will suit this dish, offering a nice contrast to the creaminess of the risotto sauce. Spring is the right time to couple sweet and savory, and chicken and strawberry salad is one of the best ways to do it. Again, this is a salad can work as a main course for a daytime event, or an early course for an evening event, and you can modify its ingredients to suit the local fare and your taste. 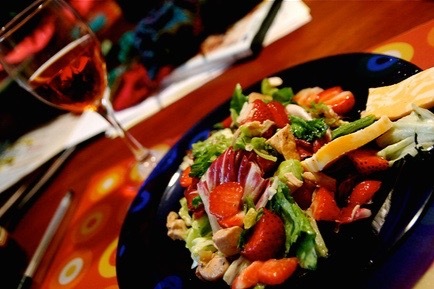 This salad works well paired with a white or sparkling Zinfandel, which will bring out the flavor of the unsweetened strawberries. Also, the Zinfandel suits the dish with or without chicken—so it will also work as a vegetarian option if you want to go that route. A mixture of fresh and spicy flavors, these tacos are easy to make—they can even be part of a make-your-own setup—and tend to go over very well for a fun-loving crowd. The avocado, tomatillo and cilantro practically yell Summer, so these will do for the last weeks of Spring especially well. 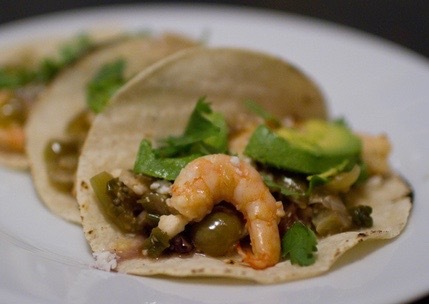 Pair these tacos with an Australian Riesling, a vibrant, citrusy wine that will complement the “green” flavors. Did you serve a great Spring pairing that you want to tell us about? We’re listening! Leave it in comments below or tweet to us!